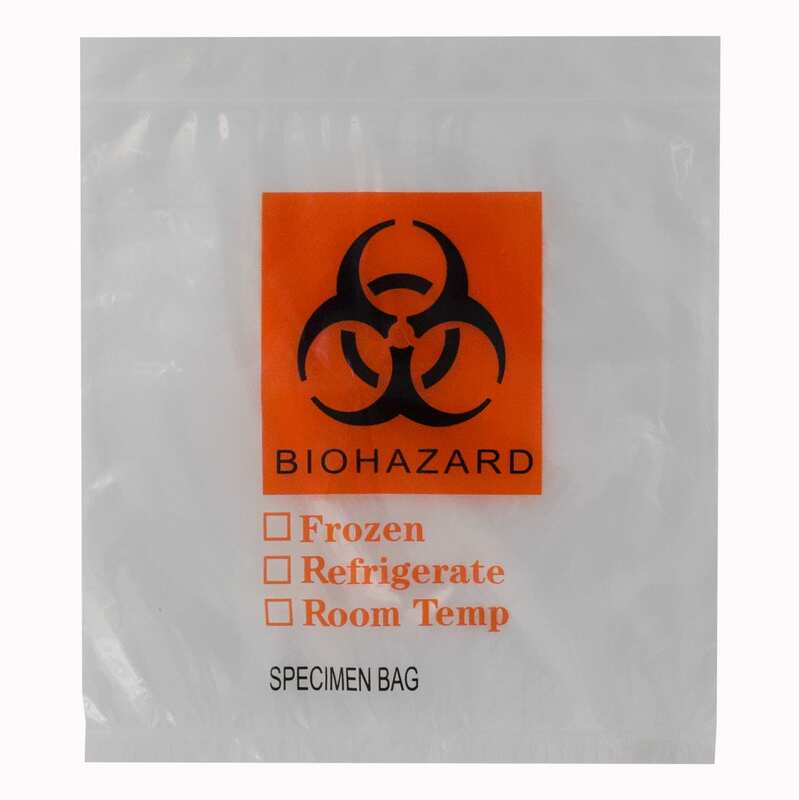 2 mil clear reclosable with tear away top for easy opening in 3 wall construction. 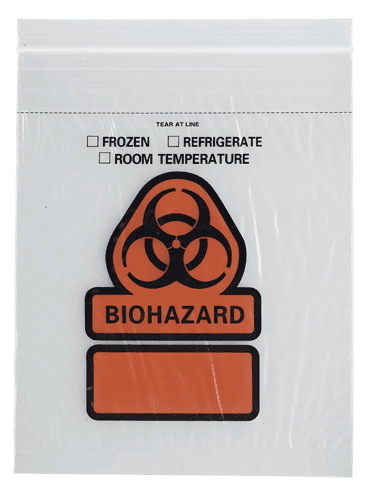 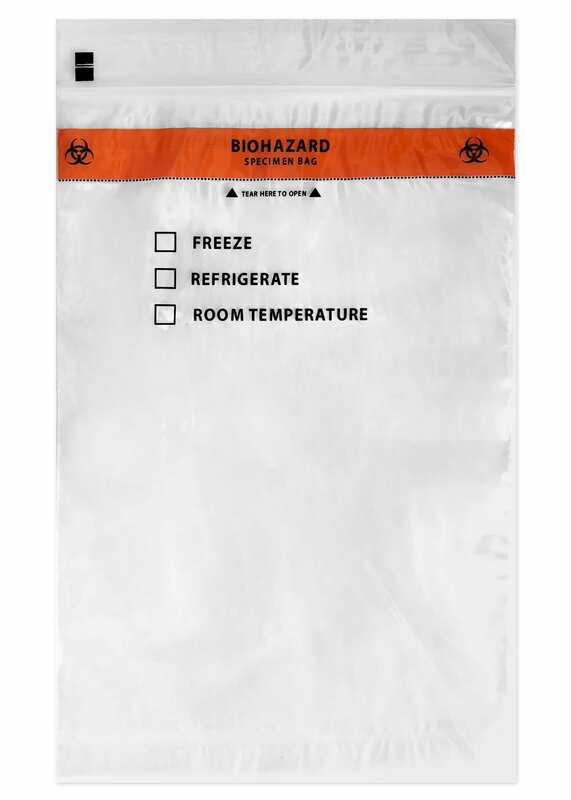 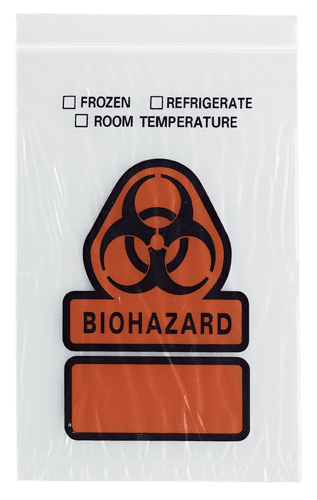 Biohazard symbol printed in black ink on colored block. 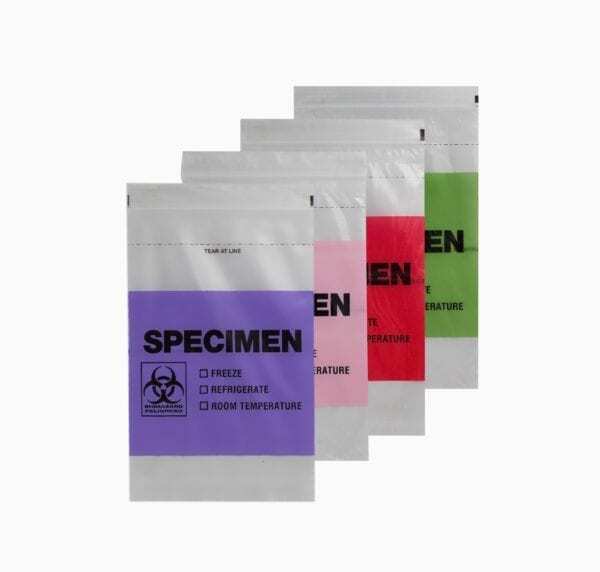 Available in green, red, pink or purple.